Think a city is “unsafe”? The numbers show you might be totally wrong. 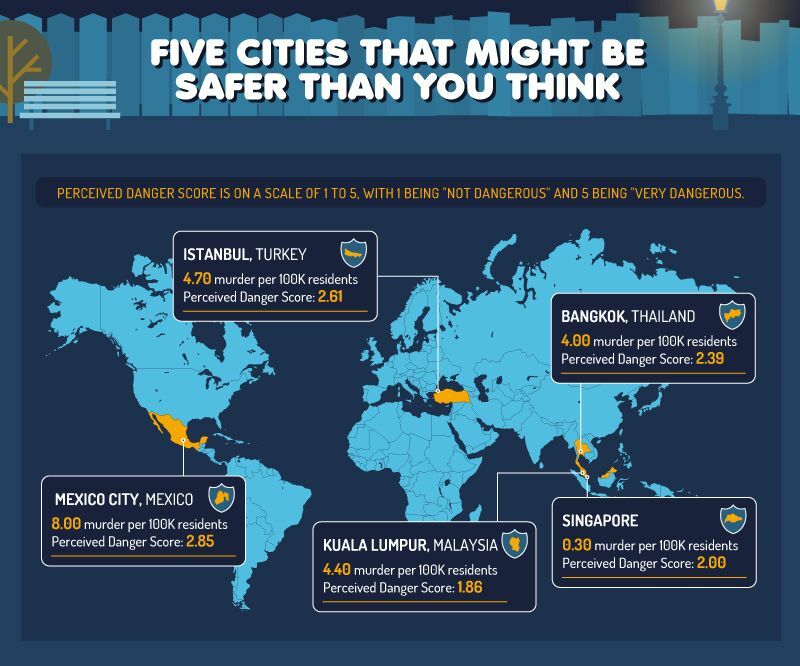 WHY DO WE THINK SOME cities are “unsafe,” while others are totally fine? And why are we so often wrong about which is which? 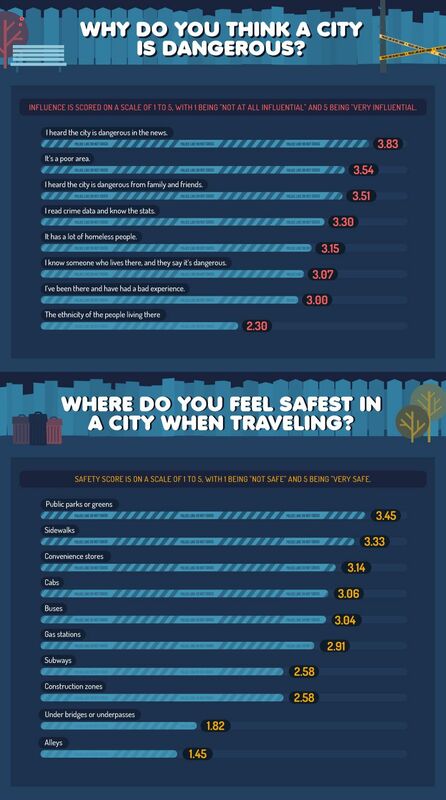 Stratojets surveyed 2000 people from 30 countries about their safety perceptions of major cities. Then they compared those perceptions to reality. What they found was interesting — we’re pretty bad at knowing which places are safe and which aren’t. 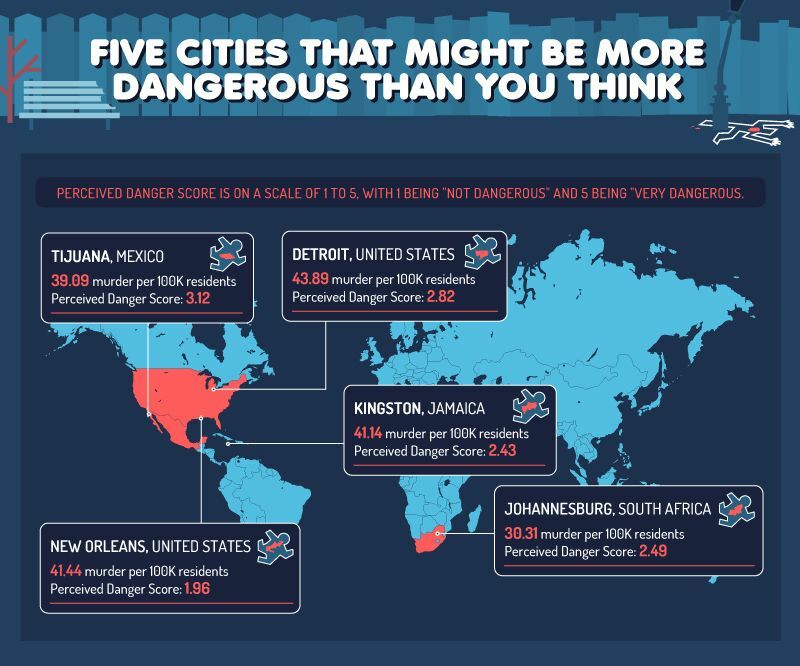 For example, Detroit and New Orleans are both fairly dangerous cities — but we tend to think they’re safer than cities like Mexico City, even though Mexico city has a much lower murder rate. To illustrate the example, Stratojets compared New Orleans and Tijuana. 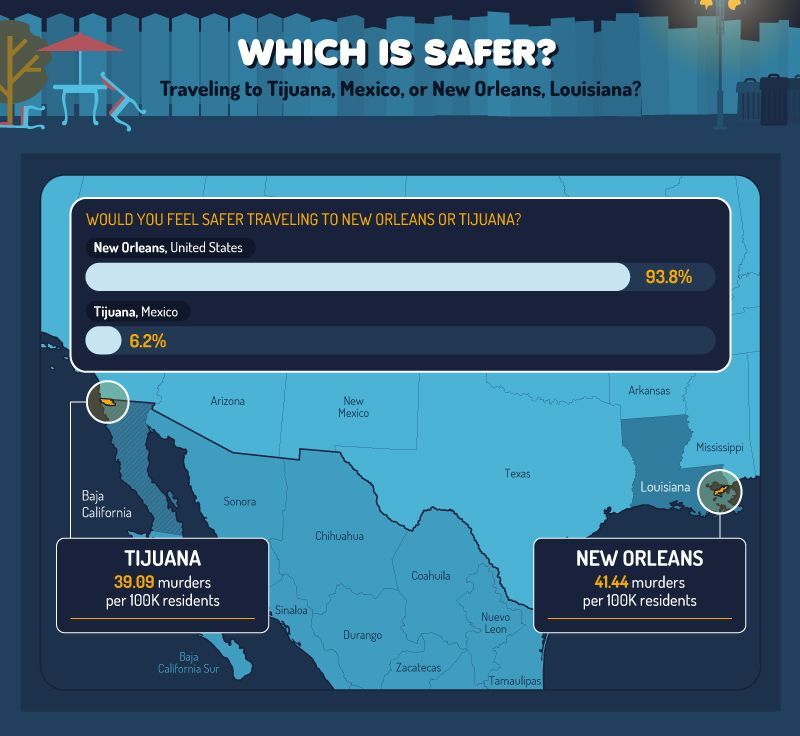 Both have similar homicide rates, but people are much more nervous about traveling to Tijuana than they are to New Orleans. The reasons why we think a city is dangerous are pretty predictable — it’s because of the media. 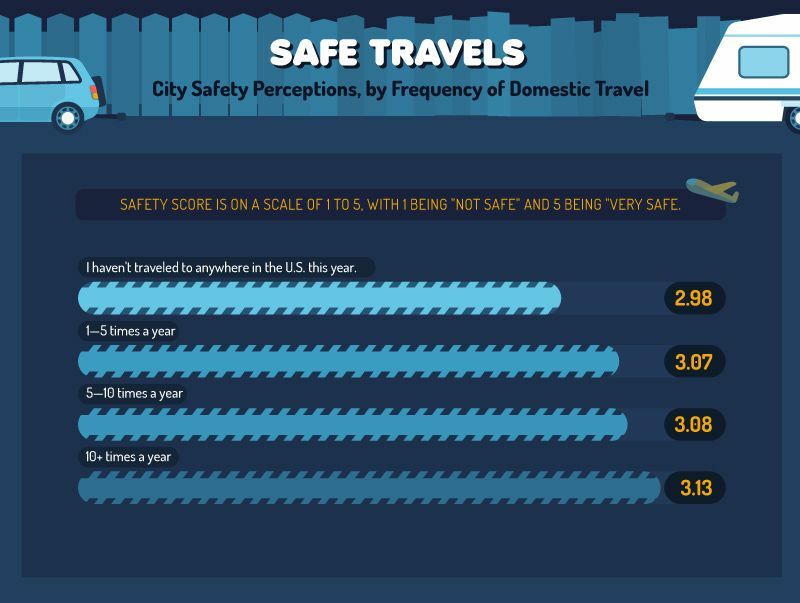 Not surprisingly, people who travel more tend to be less skittish about how safe a city is. You can see the sources and methodology of the study at Stratojets website.